You don't see many like this! Mother's Day Ride Report. What better way to celebrate Mothering Sunday than to drag the whole family out on a ride. With Anna eager to get some more kms in on her new bike, we dusted off the oldest, and perhaps most versatile of the bikes cluttering up my garage. I think of it as the cycling equivalent of an MPV. With my eldest performing the role of 'stoker', and the little one on the back, we were off. Introducing our trusty Dawes Double Edge. A strange looking old girl, but over the years we've had more than our money's worth. For the last few years the bike's been converted to 'Dad & Daughter' spec, complete with crank shorteners and modded rear seating position. Anyway, back to the ride details. Our plan was for a modest one, we were aiming to do the 'Kemberton Loop'. A smidgen over 10 miles, it's a good route to do with the kids. With some nasty looking clouds in the sky, we managed to dodge the worst of the rain, although the mid ride hailstones certainly made it interesting. Anna seemed to relish leaving me behind on the hills, but I'm looking upon dragging nearly 50km of children around as good resistance training. A great way to spend a Sunday afternoon, I'm sure it's the beginning of a great spring and summer of cycling with the rest of the family. I like to welcome a new addition to the society, a 2012 Specialized Secteur! I’ve been telling Anna for a while that she needs a ‘proper’ bike, and we’ve finally taken the plunge. 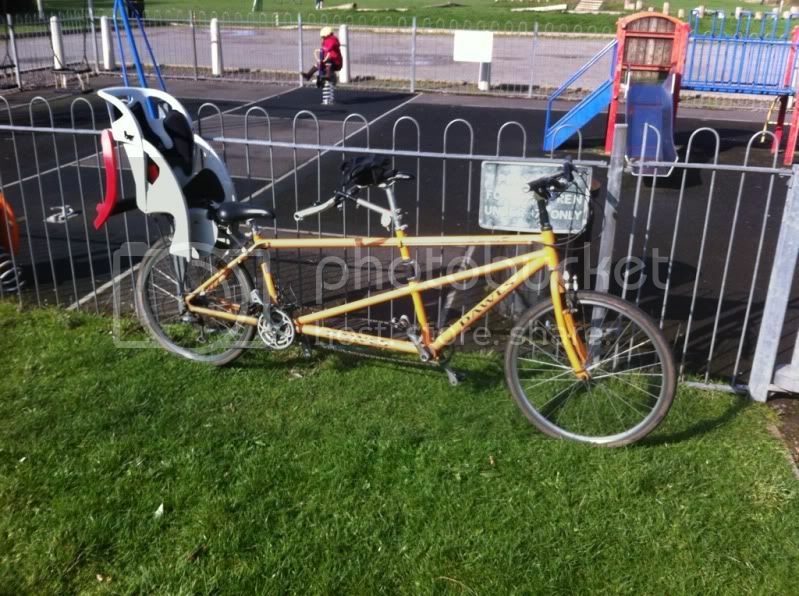 The original plan was to opt for an Allez, but the stipulation for a Triple(tut tut! ), and for it not to be black, ruled that one out. In many ways the Secteur makes more sense. The more relaxed geometry is better suited to what it’s going to get used for. 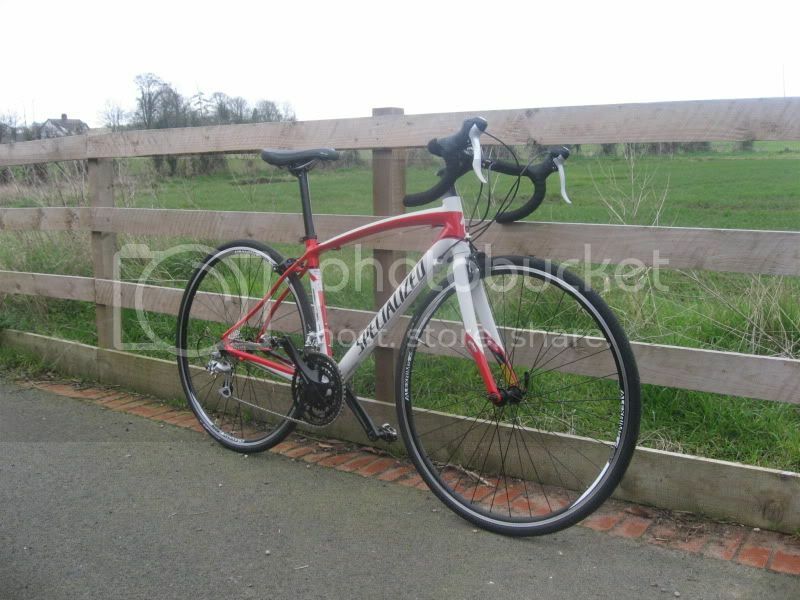 First impressions are excellent, and for the money it’s a great introduction to road bikes. Not the flashest spec out there, but everthing’s where it should be. This is sure to feature in future blog entries I’m sure.